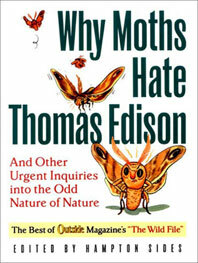 Why Moths Hate Thomas Edison - Description | W. W. Norton & Company Ltd.
Do beavers ever get squashed by the trees they're gnawing down? Why are there so many worms writhing on the sidewalk after a storm? What good are goosebumps? Why do llamas spit? What is the oldest living creature on earth? Focusing on natural history and outdoor lore, this collection ranges from the gothic to the comic to the cosmic. It includes the sorts of questions that most of us stopped asking (at least out loud) when we were eight years old. 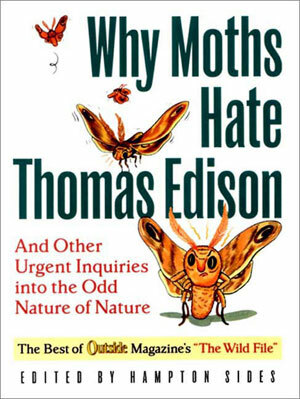 Outside magazine's "The Wild File" is what question-and-answer columns should be but seldom are: an often surprising, sometimes zany, always insightful and informative back-and-forth between a devoted readership and its publication. The result is an enchanting and enriching collection of answers that open windows to more questions.